It’s not uncommon for dead whales to wash up on the shores of Newfoundland. The water around the island in the North West Atlantic is a rich fishing ground for humpbacks, minkes, orcas, porpoises and sperm whales – so many they’ve spawned a whale watching tourism industry. But when the animals wash ashore, dead, on the beaches of small fishing villages, they become a nightmare for the local communities. A rotting whale carcasses can take more than a year to decompose. The stench makes life almost unbearable in the town. Removal can cost hundreds of thousands of dollars — a fortune for a tiny village. The deaths of nine blue whales in thick ice near the shores of Newfoundland this spring shook researchers who study the creatures. Whales become trapped and perish every year in ice. The death of the blues, though, came as a shock, said biologist Andrew Trites of the University of British Columbia. Scientists are pondering the repercussions of losing nine members of an endangered North Atlantic population of a mere 250 adults – fewer whales in an entire vast ocean than there are people in the smallest of villages. ….CLICK TO SEE PART 2 of this story by Deborah Jones. In April, nine rare blue whales, the largest living animal on the planet, became trapped in sea ice in the Gulf of St. Lawrence, and died. They were from an estimated total population of 250, all that’s left of North Atlantic blues after a century of whaling. Two of the whales washed up on the beaches in the towns of Trout River and Rocky Harbour on the province’s west coast and in the heart of the Gros Morne National Park, a UNESCO World Heritage site and a major tourism centre on Canada’s east coast. In Trout River, the town council asked the federal Department of Fisheries and Oceans, which controls all things and activities in Canadian oceans, to get rid of the carcass. DFO said, sorry folks, it’s in your town boundaries so it’s not our problem … but, by-the-way, you cannot do anything with that whale without our permission. And we’re not paying for it. There was local talk about keeping the whale and putting its skeleton on display as a tourist attraction, as some other towns and museums have done elsewhere in the world. It would have been a massive and expensive undertaking, far beyond the small-town budget. Could they get help from the government? No way, said DFO. It was suggested the whale would be a great exhibit for The Rooms, Newfoundland and Labrador’s new soaring museum, archives and art gallery in downtown St. John’s. No thanks! said the provincial government. The town of Cape St. George, approx 500km south of Rocky Harbour, listed their dead sperm whale on eBay when DFO refused to help out. Just when it looked like the people of Trout River and Rocky Harbour where going to be stuck with the health hazard of rotting whales on their beaches through the summer tourist season, along came the Royal Ontario Museum in Toronto, which offered to take the whales, add them to its collection, and make scientific data available to global researchers. Now everyone is happy …well almost. 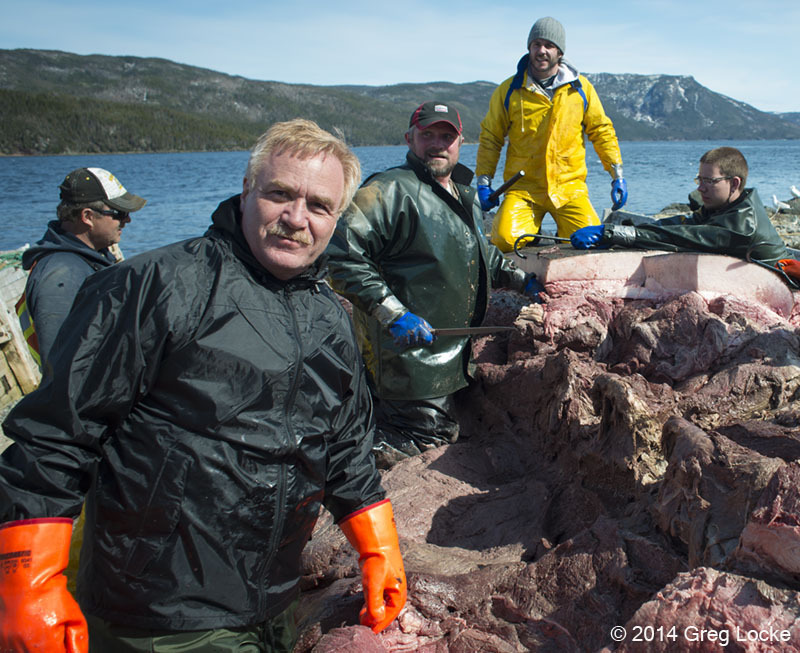 The team from the ROM began by towing the Trout River whale to Woody Point, population 300. There, a slipway would make the work of dissecting, disassembling and disposal of the carcass a quicker and easier task than on the sandy beach of Trout River. Woody Point Mayor Ken Thomas approved the messy project — as long as it was done in five days. “Looking at the magnitude of the job and getting to understand the skill sets that are required, it’s highly unlikely that this could have been done with a local effort,” he said. Project leader, Dr. Mark Engstrom, Director of Collections and Research at the Royal Ontario Museum hoped removal of the 24-metre, 100 tonne whale would not exceed $100,000. Engstrom and his team disassembled the whale, gathered its skeleton, labelled the parts with numbered plastic poker chips, and loaded them onto trucks, to be transported to Toronto for further testing and possible reassembly as an exhibition piece. Local businesswoman Jenny Parsons is not so happy with the outcome. She formed the Trout River Blue Whale Committee, which aims to establish its own exhibit, and said sending both whales to Ontario would be a lost opportunity. Since the vital inshore cod fishing industry collapsed here more than two decades ago, the small villages of rural Newfoundland scramble at any and every opportunity to keep their towns alive. 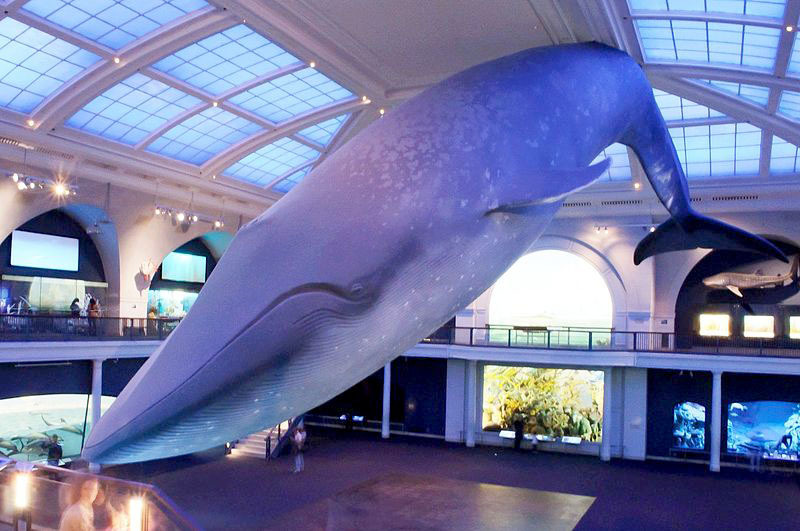 “With the fishery dying more each day, and with the cutbacks that government is giving us, this blue whale exhibit in the enclave of a national park could be nothing but a positive thing for this little town,” said Parsons. ….see part 2 by Deborah Jones.